Q: Do I need any qualification or prior learning in order to attend your programmes? A: No, we cover all the basics to get you up to speed as quickly as possible, except for the Advanced courses which require attendance of the foundation course first. Q: Will your courses require a large time commitment from me? A: No, all our courses are condensed into 1 or 2 days. Q: Will I learn enough and not feel too pressurised in such a short period of time? A: We use the latest tutor/student techniques in order to impart the information in a fast yet interesting and memorable way. Q: Can I get any post-course support? A: Yes, we provide you with course notes and access to our Technical Resources forum. Q: How can I be confident that your results are accurate and consistent? 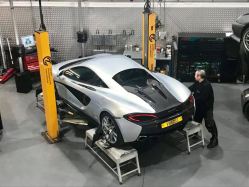 A: Each dyno pack is calibrated every month, the results are corrected for atmospherics, and deletion of the tyre from the measuring process removes a significant variable component. Q: What do I need to check before I arrive? A: Ensure that the engine is in good condition and topped up with oil. A: Your locking wheel nut key, and a full tank of the fuel that you intend to use. Q: Can I use your dyno myself? A: Yes we can rent our dyno cell out on an hourly, half-daily and full-day basis, to individuals and professional organisations. Q: Why do you have a range of “Sports” packages and a range of “Supersports” packages? A: This is so that you can choose which path is most appropriate for you. The “Sports” packages are designed for those seeking a performance enhancement but are working to a tighter budget, whereas our “Supersports” packages are designed for those seeking nothing but the ultimate quality and performance. Q: Can I specify different components than those you recommend? A: Yes, and you will only pay the difference in price. 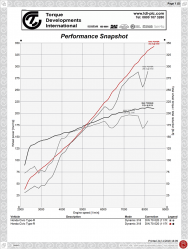 Q: My car is already modified so can I still have your performance upgrade? A: In most circumstances yes you can. We will audit your car to understand what has been done, then make a recommendation for you.